Mo Salah can help Liverpool go one better this year. 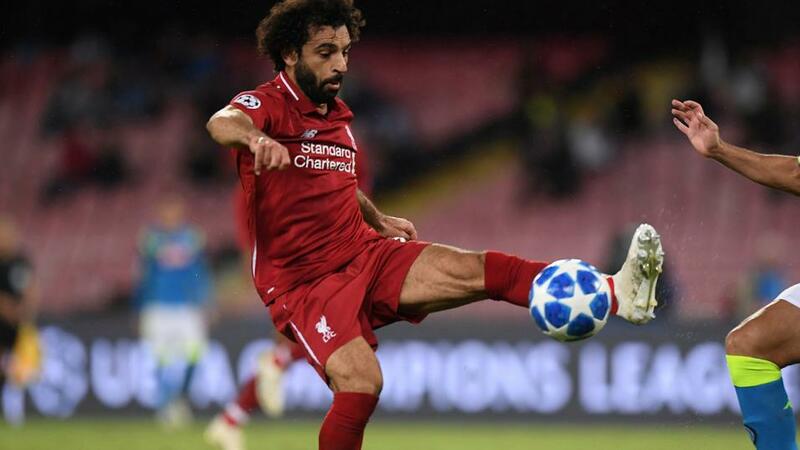 Two favourites to avoid, two Group Stage runners-up to side with and two outsiders to back in the first leg at home - these are the best bets that have emerged after the Last 16 Draw, says Jamie Pacheco. "But as a punter, this presents an opportunity. Bayern’s manager is new and this is an ageing squad, not an ideal combination ahead of a tie against a dangerous Liverpool side. They were [10.0] pre-draw and are now out to [12.0]; take it while you can." This time last year I was backing Real Madrid at 10/1 to go all the way. That was all down to price. They were out of form at the time but I found it hard to understand how the same side with essentially the same players and managers could be available at those odds to do something they'd done for the two previous seasons. But that was then and this is now. The gaps left by Zinedine Zidane and Cristiano Ronaldo are virtually impossible to fill, Ballon D'Or winner Luka Modric looks exhausted and it would be a huge ask to expect Santiago Solari to mastermind a tactical victory over say Pep Guardiola or Massimo Allegri when the real business starts. They're [13.0] after drawing a seemingly easy opponent in Ajax but even that tie is no gimme against a talented young side who will see it as a big chance to cause an upset. A tie against Schalke shouldn't cause City too many problems and their price has come in to [4.0] on the back of that. I can see why they're favourites while Kevin de Bruyne's early-season injury may just be a blessing in disguise because he's essentially had four months off and will be full of beans while others have been going at it since August. They probably have the best squad in world football. Still, at those odds I can't be backing a side that keeps so few clean sheets. It was just one from six games in the Group Stages and that was in a relatively weak group. Sooner or later their forwards will have an off-day, just like they did against Chelsea a couple of weeks ago, and I don't trust their defence to bail them out when it happens. They really should have won it last year and one year on and with a far stronger squad than they had last time out, there's no reason why they can't go all the way. They dodged a bullet in the Group Stages after losing all three away games and that's admittedly a concern. To an extent they're paying the price for that already because they've been drawn against a side who looks very strong on paper. But as a punter, this presents an opportunity. Bayern's manager is new and this is an ageing squad, not an ideal combination ahead of a tie against a dangerous Liverpool side. They were [10.0] pre-draw and are now out to [12.0]; take it while you can. An inferior goal difference to Dortmund cost Atletico here after a disappointing final day draw at Club Brugge. But there's no side still left in the competition that's been together for longer than this lot. There have been two close shaves courtesy of two losses to rivals Real in the final over the past five years and you get the feeling that it's now or never for Diego Simeone and his troops. Well, why not now? In Diego Costa and Antoine Griezmann they have one of the most fearsome attacking duos in Europe, they signed two exciting young wingers in the summer and the core of the side is still there, none more so than the hugely underrated goalkeeper Jan Oblak. Simeone won't have been best pleased with a tie against Juventus but when you finish as runners-up you can't expect to be up against anyone easy in the Last 16. But I'm not sure they should be more than three times the price Juve ([8.0]) are; you can back Atletico at [27.0]. This looks a far more even tie than the odds suggest and, if Atletico get through, they'll be less than half the current price. Backing looks like a good opportunity for a back-to-lay or to go into quarter-final battle with a big priced runner, that will be confident after beating one of the favourites. In this case, that looks a better strategy than going with Atletico to qualify, which is currently 13/10. Real Madrid's vast experience in the competition and fearsome home support in the second leg will probably see them through in the end but 11/4 looks a huge price on Ajax winning the first leg. They beat Benfica and AEK on home soil and drew 3-3 with Bayern. In recent years, Real have been poor over the Christmas period and, if that happens again, that 11/4 will be long gone by the time the match comes about. At an even bigger price, you can back Lyon at 9/2 to win their own first leg against Barcelona. This is the same Lyon side who beat Man City at the Etihad and held them to a 2-2 draw in France. Pep Guardiola said it was one of the toughest matches he's been in charge of since taking over at City and he's not one to say these things just for the sake of it. Lyon clearly enjoy playing the big guns and could bloody the noses of Leo Messi and co, although it's a big ask for them to actually progress.